Despite the precipitous drop in the price of DNA sequencing, global credit crunches have tightened the science budgets able to properly take advantage of the potential of genomics. While this plummet in cost has led to an explosion of “mega-sequencing” projects carried out by large international consortia, it has also democratized and empowered what can be done outside traditional academia and research funding environments. At GigaScience we’ve blogged and published papers covering the growing phenomenon of these “community genomics” projects. Helping publicize growing public efforts and interest to understand and get involved with genomics, be it the recent successes of crowdfunding of genomes and metagenomes, student run projects, and the growing numbers of genome bloggers or citizen “biocoders” hacking their and others sequencing data. At BGI’s annual International Conference on Genomics in Shenzhen this year we organized a session bringing together many of the people and successful projects that have pioneered this new area of open science. Chaired by Fay-Wei Li (author of this GigaScience paper on his Azolla Genome crowdfunding campaign), it featured a brilliant selection of speakers well versed in successful crowdfunded projects, citizen science, and citizen hacking of science data. The talks were all filmed and now after a bit of editing we have them online on our GigaTV youtube channel, and we have posted them all here for your future viewing pleasure. You can also follow the tweets during the session on the storify here. First up was Fay-Wei Li, setting the scene on crowdfunding and community genome projects, and telling us about his work on AzollaGenome, which successfully crowdfunded the sequencing of the first fern genome. Holly moved the topic onto “community microbiomes”, covering her efforts on Kittybiome, using Kickstarter to launch a “direct-to-kitty” microbiome sequencing project. Mesude kept with the “community microbiomes” theme to cover MyOSD, the citizen science arm of Ocean Sampling Day. Fiona move the session onto citizens use of genomic data, talking about her efforts with DNAdigest and Repositive to promote the use of open genomics data for open research and citizen scientists. Bastian Greshake (University of Frankfurt am Main, Germany), OpenSNP.org. Following nicely in the data section, Bastian presented on OpenSNP, and their efforts to move genetic testing from the siloed 23&Me “Direct-to-Consumer” model to a “Direct-to-Crowd” open approach. Following these genomic data-oriented talks, we hosted a related workshop in Hong Kong on “How do I find human genomics data to power my research?” with Fiona and Bastian, as well as a talk on “Hacking The Human Genome”. Thanks to the helpful co-organisers at MakerBay this talk was filmed as is available to view on their MakerBayTV. Q&A hosted by Hallam Stevens (NTU, Singapore) and featuring all the speakers. The session ended with all of the speakers participating in a Q&A expertly hosted by Hallam Stevens, who as a science historian helped put everything into context. Raising the Bauhinia Flag for a new Community Genome Project. 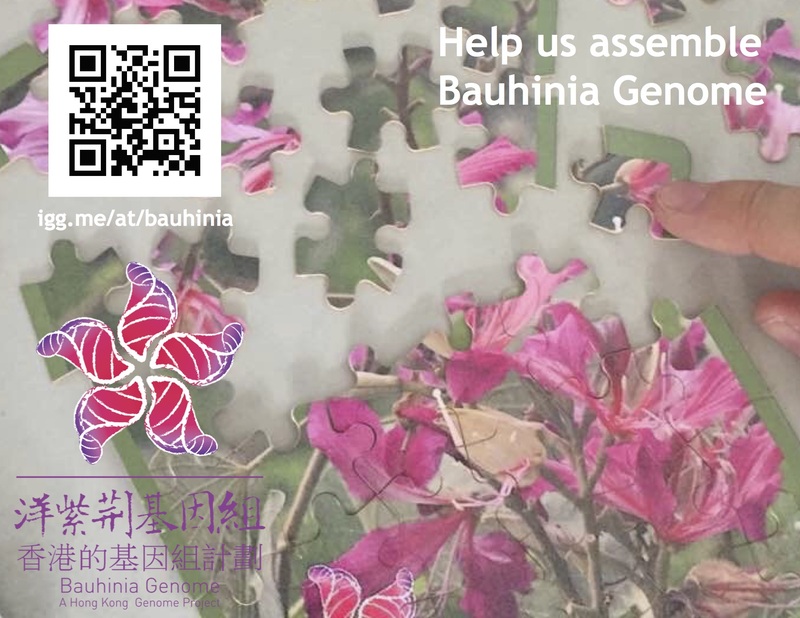 While the session looked to the past to cover already successful and up-and-running community genome projects, it was an opportunity to look forward to new work, and marked the launch and announcement of the first emblematic and citizen run genome project for Hong Kong: BauhiniaGenome.